The FrSky Taranis just got better with the Plus version. Power & features at a very affordable price! 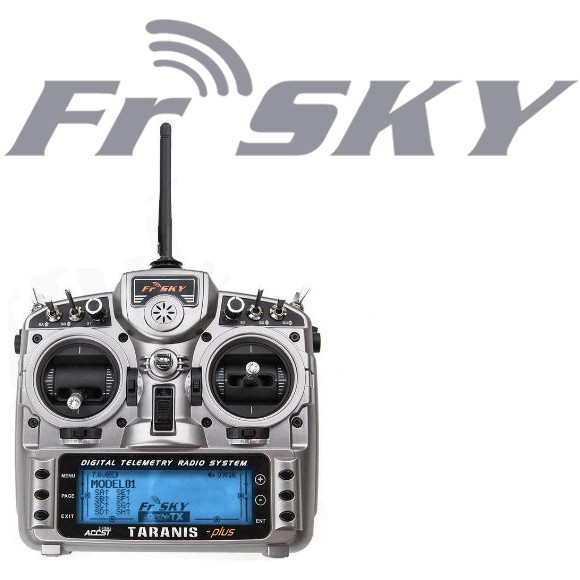 This is the new powerful FrSky Taranis X9D Plus radio system. The Plus version comes with a brand new heavy-duty aluminum travel case. The case has thick brushed aluminum sides with a stronger outer frame. The radio also includes a Haptic Vibration Feedback System which provides an alternative feedback system to the existing voice and sound. The Plus also includes a dual color LCD back-lit screen, allowing you to adjust from white to blue Or white to orange. Each radio ships with the newest firmware version to support the new haptic vibration feedback system. Note: The SWR check of the transmitter antenna is no longer available. The Frsky TARANIS+ sets a new standard with their frequency hopping ACCST technology that takes advantage of the entire 2.4GHz band, resulting in excellent range and reliability.